(Press release :: NOV 07, 2014) – Whether players are after gun-totting action or tranquil waters full of colourful fish, there’s a Slot Game at Maple Casino to suit every taste and mood. No matter the style or the pace of the action, there are serious rewards to be attained, as Maple Casino’s latest big winner can testify. S.V was spinning the Reels on the bright and cheery aquatic-themed Slot, Fish Party, when they struck some serious money resulting from a fortuitous combination – a magnificent sum of $28,099. Fish Party is saturated with winning opportunities, consisting of 5 Reels and offering 243 Ways to Win. Features include Scatters that launch between 8 and 20 retriggerable Free Spins where wins are multiplied. 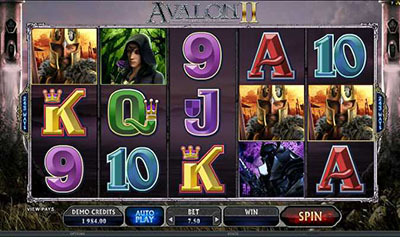 A gamble feature also allows players to double or even quadruple their winnings. 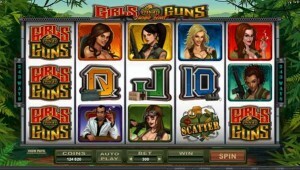 Maple Casino :: Girls with Guns – Jungle Heat video slot :: PLAY NOW! S.V was not done yet, following up this good fortune with a second massive win. Girls with Guns – Jungle Heat is all about adrenaline-fueled action with strong, tenacious girls packing massive amounts of heat, and, naturally, winning opportunities. S.V raised the thermostat after striking an impressive win of $10,883. It’s hardly surprising as Girls with Guns – Jungle Heat offers players huge chances for success with 5 Reels and 243 Ways to Win and includes a Free Spin feature and an arsenal of Wilds and Scatters. Girls with Guns and Fish Party are just two of the over 650 top quality games on offer at Maple Casino. There’s a range of games to suit every player, from Table Game classics like Craps, Roulette and Baccarat, to the latest blockbuster Video Slots, all powered by the industry leader in online gaming technology, Microgaming™. When new players sign on they can take advantage of generous Welcome Offers, namely up to $300 Free in Deposit Bonuses on their first three deposits, with a 100% Bonus on the first deposit, 50% on the second and 200% on the third. 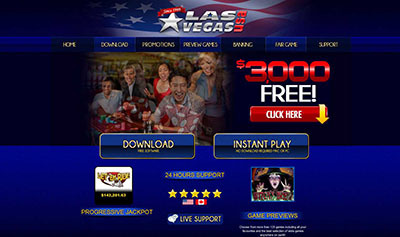 Alternatively they can opt for the Freeplay offer which grants them $3,000 Free in casino credits to play with in their first 60 minutes in the casino and a chance to keep a portion of the winnings when the time is up. Maple Casino is part of Vegas Partner Lounge (VPL) – a gaming group that has been around for over 12 years and hosts some of the most prestigious casinos in the online environment. Other brands within the VPL Group include: Crazy Vegas Casino, Crazy Vegas Mobile, Golden Riviera Casino, Golden Riviera Mobile, River Nile Casino, 777 Dragon Casino, Maple Mobile Casino, Casino-Mate and Casino-Mate Mobile.